In the Air Force, scientific applications specialists examine evidence to determine when a nuclear weapon has been tested. This type of work is like being a forensics investigator, except instead of examining a crime scene for blood and fingerprints, they're looking for signs of nuclear activity. This might mean examining seismic activity to distinguish between a nuclear blast (which is very rare) and an earthquake, or examining radioactivity levels in areas where a blast or other nuclear activity is suspected. They'll look at other factors as well, including hydroacoustic, electro-optical, radio-frequency, infra-red and other radiating sources. Scientific applications specialists are key to supporting the military intelligence community's monitoring of nuclear treaties, to ensure that no nuclear weapons are being used in violation of international agreements. Unlike the Army, the Air Force doesn't use military occupational specialty (MOS) codes but instead uses its own Air Force specialty codes. The job of scientific applications specialist is not an AFSC, but rather a reporting identifier, of 9S100. 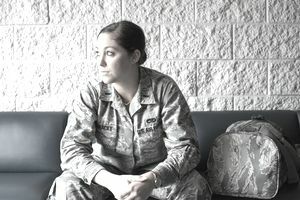 According to the Air Force description, scientific applications specialists bring "unique scientific education, aptitude, and critical perspectives to solving complex technological and analytical problems." These specialists are a key part of any situation in the Air Force where in-depth knowledge of physical science is needed. This job category calls for a wide array of very specific technical knowledge, including math, electronics, thermodynamics, chemistry and physics expertise. Since these specialists will gather and analyze data to detect nuclear capabilities, their work and its implications obviously have huge implications for national and international security. The work they do also have major public health implications. The typical duties and responsibilities of the scientific applications specialist include using available technology to test and evaluate weapons of mass destruction. The data they gather will come from chemical, biological, nuclear radiation and other sources, and will be processed and analyzed. They'll also work on improving existing processes to better detect nuclear weapon use. This job also requires clearance and routine access to top-secret material. This position requires a minimum of a high school diploma, and 15 college credits, as well as a 57 on the electronic data processing test (EDPT). They'll also have to demonstrate aptitude in the mechanical and electronics (ME) sections of the Armed Services Vocational Aptitude Battery (ASVAB) test. Recruits for this position are required to be between ages 17 and 39. Given the sensitive nature of the work they'll be doing, scientific applications specialists will be subject to a single scope background investigation (SSBI). In addition, scientific applications specialists need knowledge of advanced math and statistics and need to have advanced computer skills. They'll take 7 1/2 weeks of basic military training as well as Airmen's Week, and will then receive 90 days of technical training at Goodfellow Air Force Base in San Angelo, Texas.